Not all of these cheeses were launched this year, but they are all fairly new and have really hit their stride in 2013. Go get 'em! British 'Bries' can be found in all the major supermarkets, but finding a raw milk Brie de Meaux-style cheese made in this country is not so easy. Enter Baron Bigod (above) from Bungay-based Fen Farm Dairy, which is run by third generation dairy farmer Jonathan Crickmore and his wife Dulcie. The couple attended courses at the School of Artisan Food and the Specialist Cheesemakers' Association before launching Baron Bigod (pronounced 'by-god') using milk from their farm's 76-strong herd of Montbeliarde cows. The final flavour is earthy and mushroomy with a silky texture. Wrapped in a spruce band with a gooey centre, this new pasteurised cow's milk cheese has been developed by Hampshire Cheeses' - the company behind Tunworth - with input from Neal's Yard Dairy. 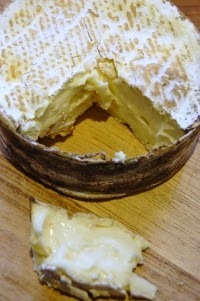 Like Vacherin, Winslade has a runny texture when it's fully ripe so you can eat it with a spoon. 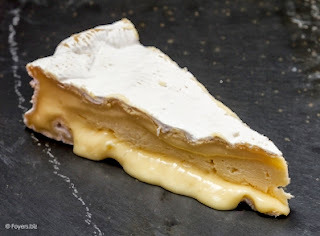 But unlike its Continetal cousin it doesn't have a washed rind, so the flavour is more delicate - creamy and mushroomy with interesting resinous notes from the spruce. Great sprinkled with white wine and warmed in the oven. Francis is a washed rind cheese made by James McCall, who worked for many years with the granddaddy of British cheese, James Aldridge. It begins out as a young Stoney Cross cheese, made by Lyburn Cheesemakers, before McCall washes it in a solution of French cultures. It's quite mild by washed rind standards with a pink marbled skin and a pleasant tangy smell. The texture is supple and silky and it has a fresh and appley flavour. This lactic set Marcellin-style cheese has a lemony flavour and moussey texture when young, but develops into an earthy little bombshell in a basket as it matures. It's made by Julie Cheyney, who previously co-founded Hampshire Cheeses, and was won this year's James Aldridge Memorial Trophy, which recognises the best raw milk cheese in the country and is voted for by other cheesemakers. Will and Caroline Atkinson are best known for making a pretty little goat's cheese called Stawley, but earlier this year launched a much larger, semi-hard cheese called Wellesley. I'll 'fess up and admit to not having tried this yet, but the Atkinsons are such good cheesemakers it's bound to be a corker. It's made with raw milk from the farm's own herd of goats and is matured for two to three months. 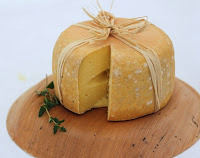 The rind is quite dusty and the cheese has a waxy pliable texture a bit like Ossau or Comté. Beefy and caramel flavours abound.